Max Milligan Play Allman download. Learn to play the Duane Allman way with Max Milligan. 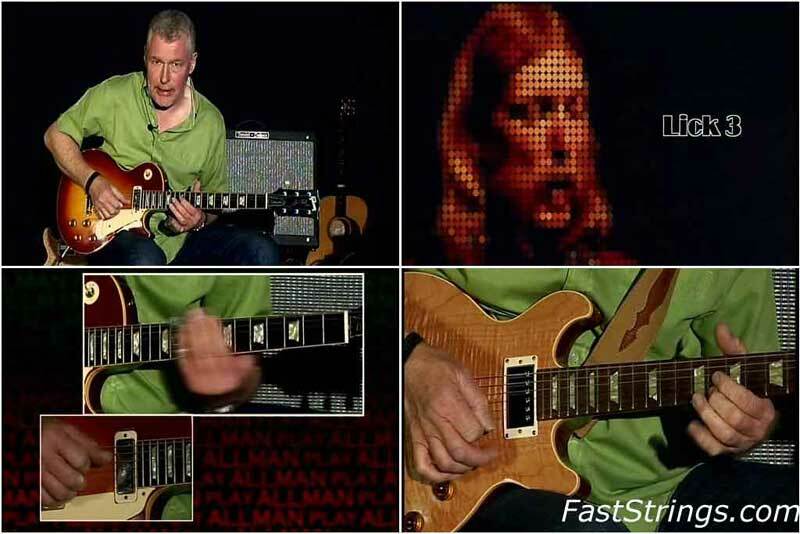 The Play series… entertaining instructional programs illustrating the methods and technique made famously recognizable by the world’s greatest guitarists, this release focuses on “Skydog” himself, Duane Allman. Known for his expressive slide guitar playing and inventive improvisational skill as well as his ability to draw the best out of other musicians, Howard Duane Allman is still thought to be one of the world’s greatest guitarists over 40 years after his untimely death. A sought after session musician throughout his career for great acts such as Aretha Franklin and Wilson Pickett, Duane found greatest success was when he and younger sibling Greg co-founded the Allman Brothers Band.